Home / cabin pressurization / How Aircraft Cabin Pressurization works? How Aircraft Cabin Pressurization works? You must be wondering how you are able to breathe comfortably on a flight from New Delhi to Texas at around 30,000 - 40,000 feet when a well-trained mountaineer finds it difficult to breathe even with an oxygen cylinder at 29,000 feet. When we move above from the sea level the pressure of air starts decreasing. Though the concentration of air remains to be same at around 70% but as the pressure of air is decreasing hence the molecules of oxygen stretch away from each other making it difficult for human beings to breathe. Just imagine eating jelly from a cup with particles of jelly broken into small pieces and in another case the jelly is in one solid state. Which one would be tastier? The same way our body likes to breathe from the air in which oxygen molecules are closely packed. Here it is very clear that it becomes more and more difficult to breathe at higher altitudes but according to the flight data received for various flights across the globe, it can be very easily seen that aircraft fly best at the higher altitudes. Humans love to breathe near ground but aircraft love to fly away from the ground. To solve this complex problem which looks very simple aviation industry came out with an idea of cabin pressurization. Assuming that all of you are aware of the basic working of an aircraft engine and various main stages involved in the working of a jet engine. If not I will give a brief introduction of the part of working of an aircraft engine which is of our interest. The ambient air is sucked inside the engine through the fan and after that, it is compressed at high temperature and pressure so that oxygen molecules come closer and facilitate easier burning of the air and fuel mixture. Moving back to our problem of low-pressure air inside the cabin making it difficult for the passengers -to breathe. The compression process is carried about in a number of stages varying from 7-10 depending on the engine. Now after passing through each compression stage the pressure and temperature gradually. Some amount of air from 6th and 7th stages of compression is taken out from the compressor and is cooled and filtered so that it becomes healthy for the breathing practice of human beings. This is the air you breathe in an aircraft engine while you are flying above the might Mount Everest. The aircraft refrigeration system consists of four basic components. As you can see in the image that the compressed air from the main compressor and then sent through a heat exchanger where it cools down by giving heat to the ambient air. Now, this cool air is sent to the cooling turbine where it is expanded so that its pressure can be taken down to a value which is most comfortable for humans to breathe easily. The breathable air is then sent to the cabin. The work taken out by expanding and cooling the air from the heat exchanger is used to power a fan which cools the down the heated in the process of cooling the air to be sent to the cabin. The cooling turbine not only lowers the pressure of air but also further reduces the temperature of the air to be sent to the cabin. 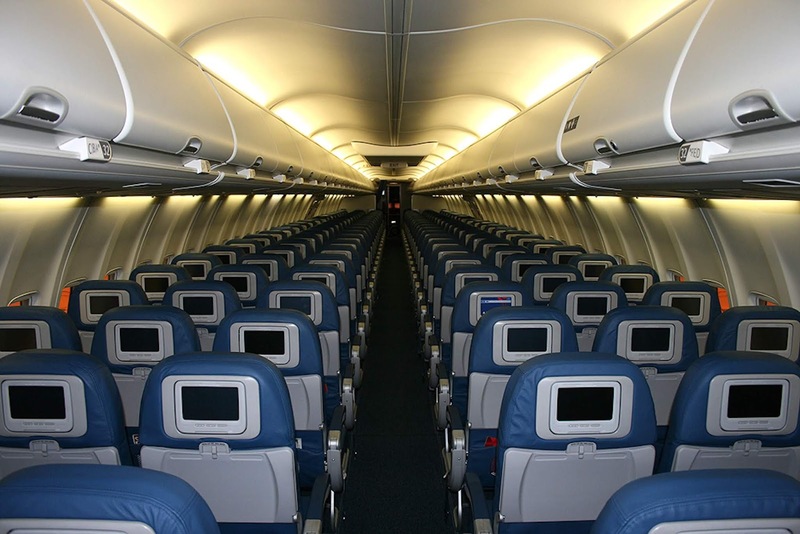 What if cabin pressurization fails? You all must have came across one of the most heated debate of aviation industry these days, the deployment of oxygen masks in a Jet Airways flight due to low cabin pressure. The reason as quoted by various news agencies that the cabin crew forgot to switch on the cabin pressurization switch.